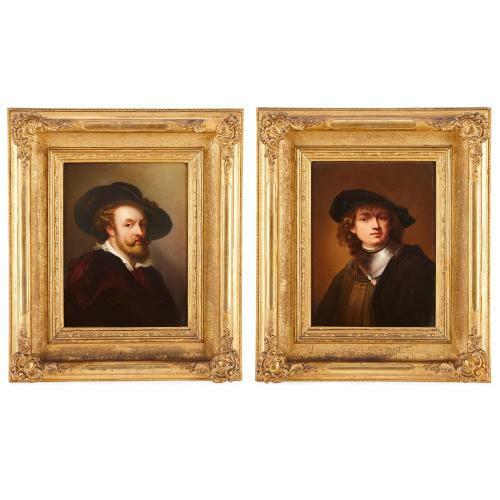 These fine antique porcelain plaques, by German porcelain manufacturer KPM, are painted after the renowned Old Master artists Rubens and Rembrandt. 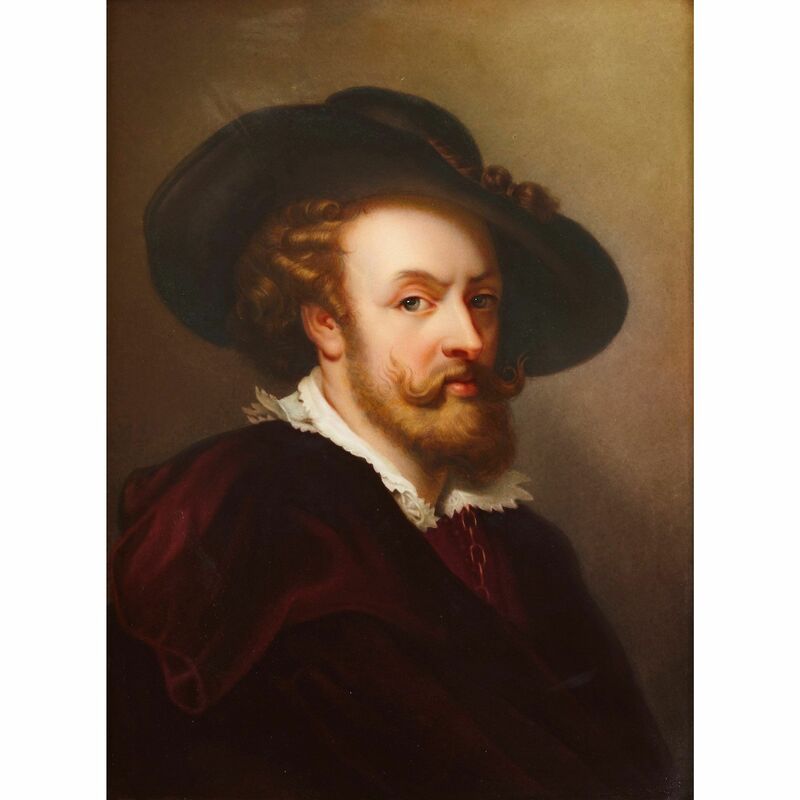 Each plaque is painted after 17th Century self-portraits by the notorious Baroque artists, Pieter Paul Rubens and Rembrandt van Rijn. 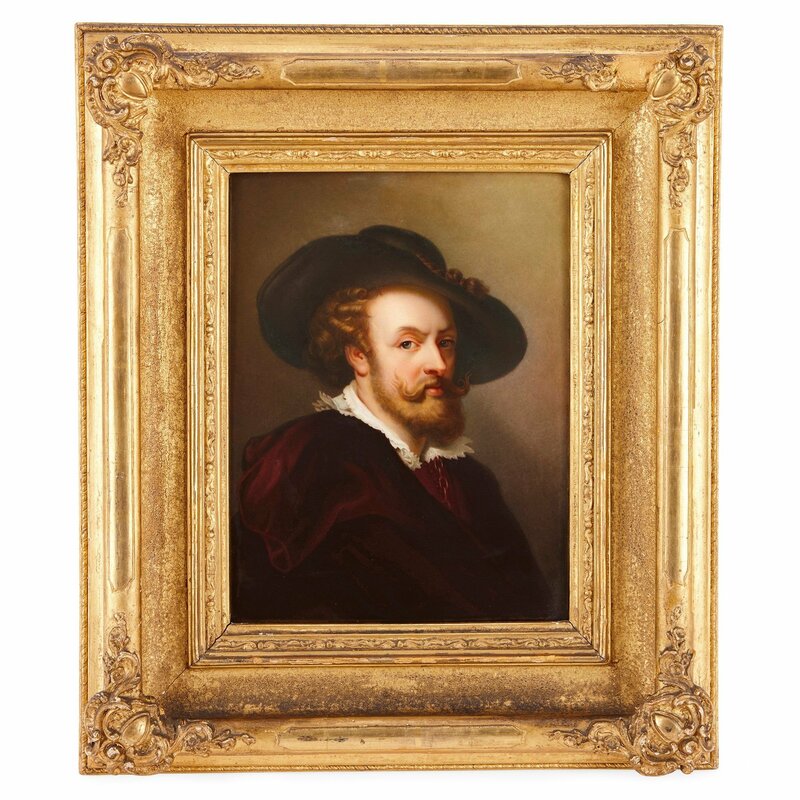 The left plaque depicts Pieter Paul Rubens (1577-1640), regarded as the most important painter of the Flemish Baroque. The original work, a self-portrait which currently forms part of the British Royal Collection, was commissioned in the 17th Century by the Earl of Danby as a gift for the future King of England, Charles I. 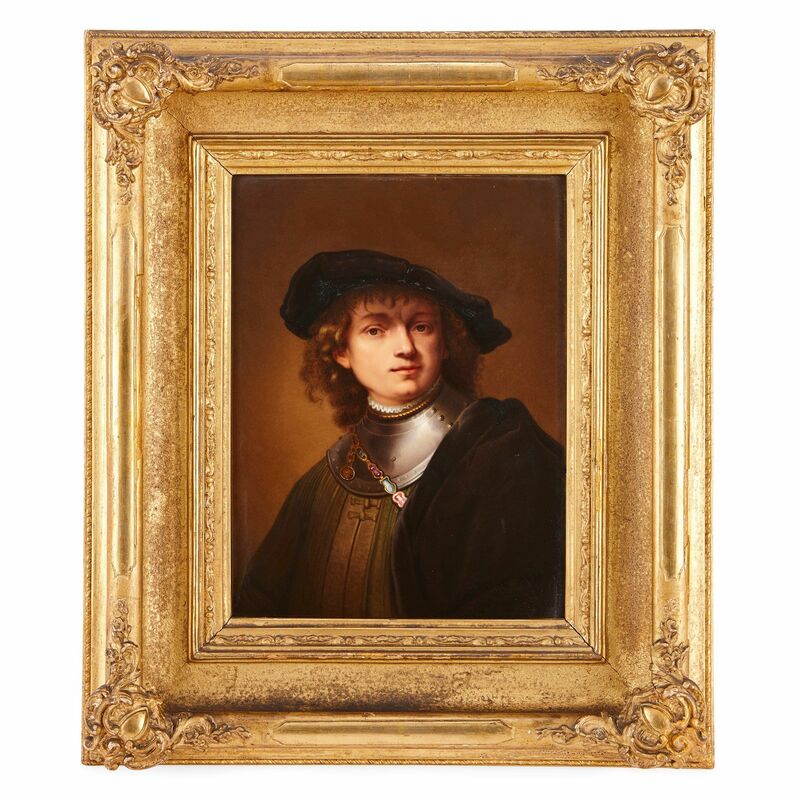 The right plaque depicts Rembrandt van Rijn (1606-1669) as a young man. Rembrandt's self-portraits are considered some of the most important works in the history of Western art. The original painting currently hangs in the Uffizi Gallery in Florence, Italy. 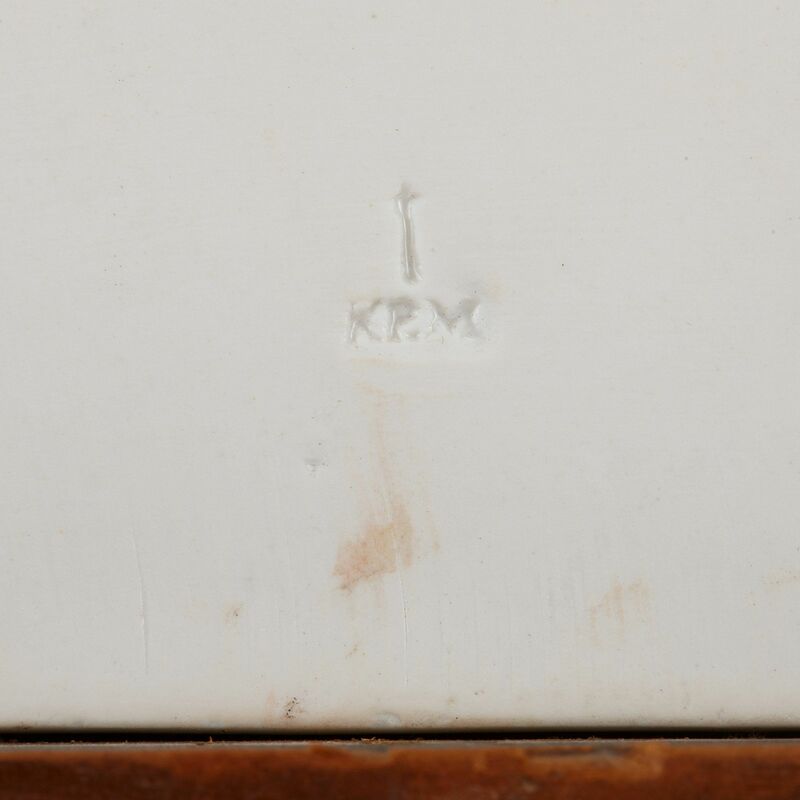 The plaques are set inside carved giltwood frames, and are stamped with the sceptre mark of KPM. 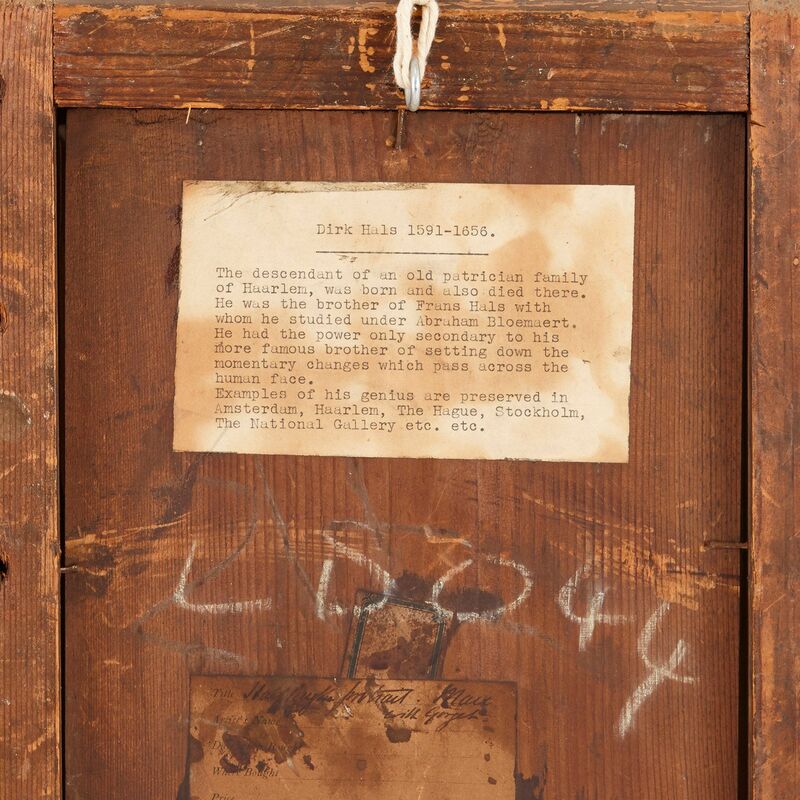 The backing of the frame is mounted with a biographical note, seemingly unrelated to the plaques, about the Dutch Golden Age painter Dirck Hals (1591-1656).